Saved from the Methodist Chapel when it was sold in 2014. Now on display in the local shop on Wellthorne Lane, Ingbirchworth. We were initially informed that none of the servicemen and women named on this memorial lost their lives in the conflict, however please see the comments below. Huge thanks to the proprietor of the shop for letting us take yet more pictures. 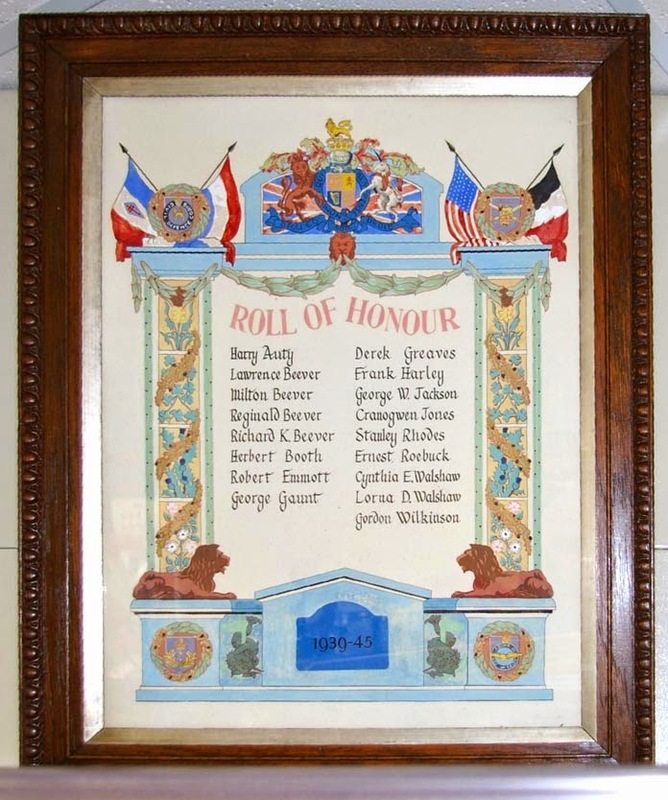 This Roll of Honour includes the name of my uncle, Ernest Roebuck. An attached comment suggests that none of the men whose names are listed died in the war. This is certainly untrue of Ernest, who was killed at the battle of Arnhem. I can give you far more information if you wish. I also suspect that the comment may be untrue of other names on the list, since "Roll of Honour" is a title normally reserved for the dead. Thank you for this Clive, I have amended the page with your information. I have also emailed you with my apologies.